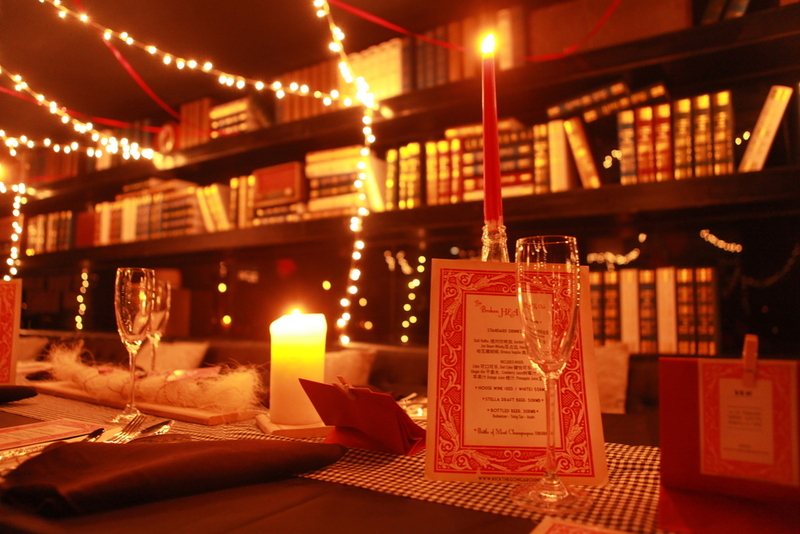 This was KTGA’s first immersive dinner party in Shanghai. Held on Valentine’s Day in an old gay club named ‘390’, the event’s theme took inspiration from jilted lovers, sad clowns, decks of playing cards and broken-hearted troubadours. An actor hired to be the main storyteller of the evening – also known as ‘the sad troubadour’ –personally invited every single guest to the party by telephone prior to the event. When guest arrived they were handed a white mask by mysteriously dressed, silent hosts. 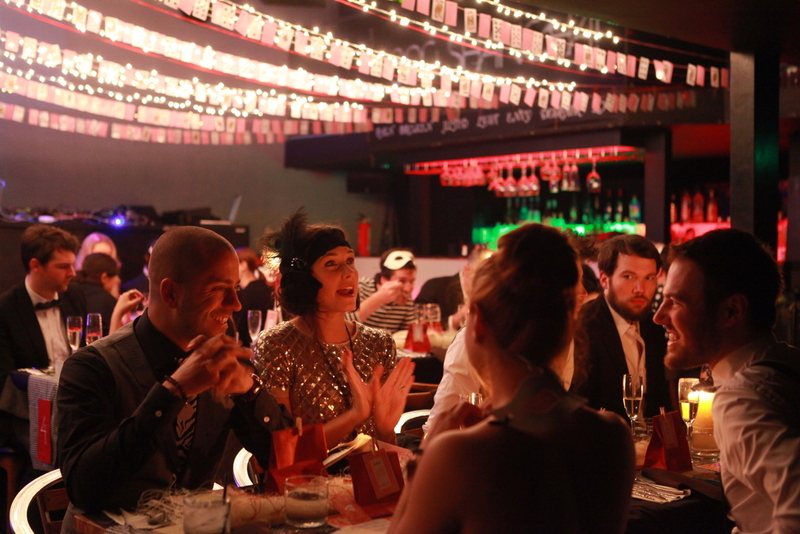 The environment was moody and theatrical allowing guests to engage more with the theme. The sad troubadour provided heartbreaking musical and theatrical entertainment in keeping with the overall story. For one night only, Friday, February 14th at 8 pm, 390 will be transformed by Kick The Gong Around into an IMMERSIVE DINNER EXPERIENCE for the loveless and loved alike.Guests will enter into the beautifully retro-fitted clubhouse surrounded by the melancholy sound of 20's/30's blues harkening back to Billie Holiday and Bessie Smith. A full, delectable dinner will be provided by our sad clown wait staff, each reminiscent of the ever soulful icon Emmet Kelly. Gaze into a lover's eyes or silently gulp down the 2 complementary glasses of sparkling wine as Buster Keaton limps along 390's many video screens: Kick the Gong Around will service all.During dinner, an string player will circle the tables, playing his sad songs. And after dinner, acoustic troubadour will share stories of his heart's journeys as well.Finally, The Kick the Gong Around DJs, Baron Vulgaria and B.O, will shake down the stars and doldrums with a swing/electro-swing set. This Valentine's Day, for a truly unique experience, Kick The Gong Around.